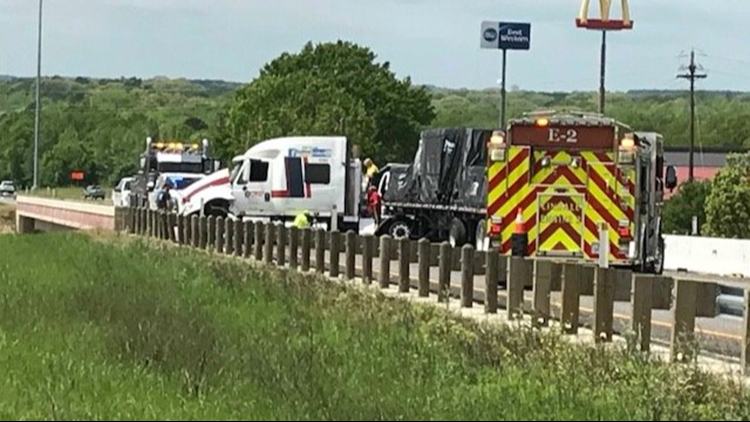 The Lindale Police Department responded to a crash involving a semi-truck crash on I-20, according to CBS19. The truck was heading westbound, when the owner's dog allegedly jumped into his lap, causing the driver to lose control, ending in the crash. The incident happened at mile marker 556 over the US 69 bridge. All westbound lanes were closed due to the accident. Thankfully, no one was injured in the wreck and the semi was the only vehicle involved. Here's a photo of the accident scene.